Vera Wang splits from husband of 23 years, Arthur Becker. After 23 years of marriage with two children, Vera Wang, 63, and husband Arthur Becker have peacefully decided to divorce. The couple gave no details to the reason for their split. The company designing black wedding gowns in her Fall 2012 collection, Vera Wang and Becker both are still lovingly devoted to their daughters, Josephine and Cecilia. And the couple continues to work together on Vera Wang’s designer brand. 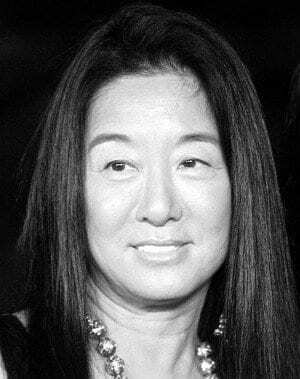 Becker helped Vera Wang create her bridal lines, higher- and lower-end fashion, make-up and other products. Wang plans to keep her Vera Wang brand in tact. The hard work Vera Wang and Becker have put into the brand is too valuable to give up to a divorce, said a friend. Vera Wang’s renowned work includes designing Khloe and Kim Kardashian’s wedding gowns. And her recent work includes White by Vera Wang, her bridal line for David’s Bridal, and Black by Vera Wang, her men’s tuxedo brand for Men’s Warehouse. Vera Wang’s discovery of her passion arose, in 1989, when she struggled to find the right wedding gown for herself. The occasion provoked the idea to custom design her dress. From there on, Becker became the advisor to Vera Wang’s internationally celebrated brand. Before becoming the helm of her own company, Vera Wang was the design director at Ralph Lauren. According to the Examiner, the 23-year-old project began when Vera Wang opened a small salon in The Carlyle Hotel, ultimately leading into her multi-million dollar brand with the help of her first bridal shop in the Upper East Side of New York. Becker also suggested opening the store.